This article outlines our experiences and observations as a firm that is invested in both physical retail-related startups and companies developing technologies for e-commerce, such as online marketing startup Yotpo Ltd. and website personalization company Dynamic Yield Ltd.
Retail is a $28 trillion industry, growing between 4% and 5% year over year, according to data from New York-based market research company Statista Inc. The e-commerce segment is clearly growing much faster (about 20% year over year), but it still amounts to just around 10% of the overall retail industry and is expected to reach 15% in the next few years. So, we can safely say that offline retail, as an industry, is not going anywhere, at least not in the foreseeable future. However, the retail industry is going through dramatic changes that will completely transform every aspect of it in the coming years. The rise of e-commerce and the dominance of Amazon in almost every segment in that market are driving big department stores and consumer electronics chains out of business and putting grocery players under pressure. 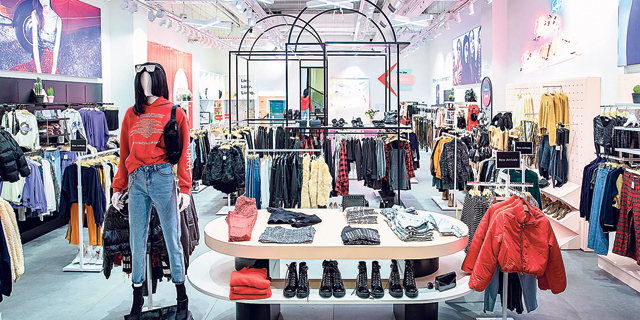 Digital native brands are emerging with a direct to consumer online strategy that is enhanced by offline stores, and more traditional brands are investing heavily in their direct online and offline channels, struggling to catch up. Apple showed the world how experiential shopping is done right, with exceptional impact on brand and sales, and we have also seen new business models, like subscription, become mainstream. And then, of course, we have Amazon Go, the revolutionary no-line, no-checkout brick and mortar stores. We can only imagine what is being discussed these days in board and senior management meetings at retail companies, but it is probably fair to assume they spend much of their time thinking about their strategy in the new world, and one of the first things they are doing is turning to technology. Over the years, we have seen little change in how stores operate. Even technologies like radio-frequency identification (RFID), which, when done right, can improve operations and margins, are still not mainstream within stores. Our belief, however, is that 2018 was the inflection point. Over the past few months, we have seen, on a weekly basis, news about new partnerships between retailers and tech companies, startups and multinationals alike. One of our portfolio companies was even invited to showcase its tech to and share its vision with the board of a multi-billion dollar retailer. So, what we have is a multi-trillion dollar industry being disrupted with many of the incumbents likely to disappear, while new winners emerge, and with technology playing a key role going forward. Sounds like Disneyland for entrepreneurs and investors. The catch is that we are early in the innovation cycle, and these are still retail companies: big, slow, and often led by internal politics rather than strategy. This is not going to go away easily and quickly (and, for some, maybe never). In addition, we need to remember that most players have yet to develop a coherent strategy and are often just reacting to what we all read about in the news, with frequent shifts in priorities. Lastly, the change is not a cosmetic one but rather a deep one that would most likely require the complete restructuring of the organizations and their internal processes, the hiring of new talent, as well as the implementation of a complex set of technologies, with a mix of hardware and software, a process which will take time and will likely be costly. Assuming we are now on square one, where should we start? At this stage of the innovation cycle, we prefer to focus on deep technology companies that would allow retailers to fundamentally change how they run their business and in-store customer experience. One example is companies that help close the logistics gap with Amazon, allowing smaller retailers to compete when it comes to both price and delivery time, such as warehouse robotics startup CommonSense Robotics Ltd. and on-demand delivery startup Bringg Delivery Technologies Ltd.
Another example is companies that help retailers compete in the era of Amazon Go, the e-commerce giant’s no checkout physical store, such as Vertex’s portfolio company Trigo Vision Ltd. The technical challenge here is that most retailers do not have the luxury of building new stores or completely retooling existing ones with expensive, sensor heavy technology, so they need a much cheaper and leaner approach, which also caters to gradual adoption—starting with in-store analytics and security capabilities before moving on to fully automated stores. Clearly, many other opportunities would emerge over time, but just like the case with other markets, we expect a quick shift from under to over-investment in retail-related tech, leading to a highly noisy and competitive market for startups. To summarize, we see a lot of similarities between the current state of retail and what we have seen in the automotive space over the past few years—highly disruptive trends driving innovation in both technology and business models and incumbents having to invest heavily and collaborate with startups to remain competitive. However, there are also couple fundamental differences between the automotive and retail markets, mainly around the fact that it is unlikely anyone will get injured by an autonomous shop, at least not physically, and, except perhaps for privacy issues, regulators are unlikely to interfere. Also, while autonomous cars are said to be 5–10 years away, Amazon-Go is here and quickly expanding. So, we expect to see the change take place much faster in retail, with potentially better ability for startups to build and scale their business. Aviad Ariel is a general partner at Vertex Ventures Israel.